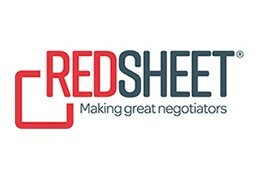 To subscribe to our Red Sheet negotiation newsletter, thought leadership insights and product updates, please complete the details below. By using this form you agree to receive communications from us related to our Services and the industry we operate within that might be of interest to you, or to invite you to participate in research. Please be assured that your information will not be shared with any third parties and you can unsubscribe at any time. For more information on how we will store and process your data, click here to read our Privacy Notice.